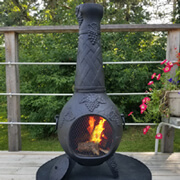 For over 20 years The Blue Rooster has made a Grape style chiminea. It is one of our oldest chiminea designs. 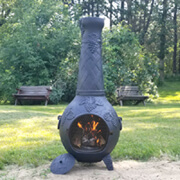 Available in cast iron or low maintenance cast aluminum, the Grape chiminea has proved to be one of our best selling, time tested outdoor fireplaces. 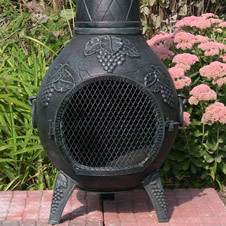 If you like traditional chimineas, you'll love our Grape style Chimenea. Often duplicated in name but never duplicated in quality or design. 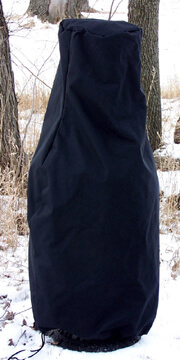 Make sure when you buy a chiminea it is a genuine Blue Rooster for the best quality outdoor fireplace available. Choose from the selection below for more details on Cast Aluminum, Cast Iron, and Gas burning models.